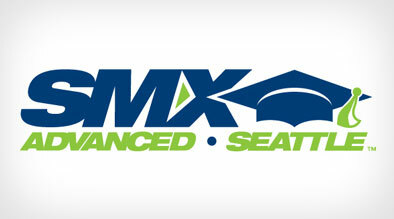 In the SMX Advanced session, “Proving Social Media’s Value”, the speakers showed how social media can be proven helpful for securing links, for brand reputation, ranking and traffic to your site, reputation management and to engage community while gaining effective feedback. While there are many social tools and channels out there, it is crucial to decide which ones will work for your business based on your customer profiles. Based on your overall marketing objectives, you should create a custom strategy that reaches out to your target market on these channels. User forums represent a large source of online conversations. Tech companies (e.g. consumer electronics, software) have an opportunity to participate in forums, which can account for 30-50% of total UGC, in a meaningful way. Whether you are looking to build your own user support forum or participate in 3rd party forum conversations, you can apply an ROI calculation to this form of engagement. Typically, your “earned” social media referrals have better conversion. A recent Razorfish marketing study showed social media referrals to have a 1.5-4x conversion rate when compared to organic and PPC traffic. Social media can generate a significant amount of “earned” referrals, and drive extremely quality traffic. Don’t forget about the positive people too! Just because they loved you from the start doesn’t mean they don’t deserve your TLC attention. Reach out to your fans and thank them for the positive feedback. Incentivize them to continue to be a positive social influencer – offer them a special discount or promo to come back and stay with you. Identify negative noise-makers on social channels (e.g. TripAdvisor). Who is talking negative about you? What are they saying and why? Get to the bottom of who is negatively buzzing about you. Next, turn that negative influencer into a positive one. Reach out to your foes on social channels, and incentivize them to turn their buzz into a positive one. The incentives could be a kind, sensitive hand outreached to hear their side of the story – which sometimes may work to show the company cares to make things right. Or, it could actually be an incentive, such as a coupon or complimentary add-on if they come back to stay with you. Chances are, if the person is truly genuine about their bad experience, your initiative to make things right will make a difference to the. Identify opportunities to socialize with your potential fanbase or niche audiences on social forums (i.e. Facebook Groups) or travel blogs. Recognize the opportunities your brand has to have a voice on existing social channels that are already buzzing about travel to your geographic area. Send out coupons or promotion codes to your fans on various social networks. For example, on Twitter and Facebook, offer a coupon to all your fans and followers for “free Fridays when you book Saturday and Sunday”. Make it know that the coupon is for your social networking buddies only. You want your fans to know the benefits of staying connected with you on social channels. In summary, If you can turn one negative noise maker of your brand or product into a positive one, you’ve already converted a “never again” guest into a potential repeat guest. Already you have proven value. If you turned a neutral customer into a positive customer, you’ve scored again. And if you turn a fan into a die-hard fan, you’ve across the board, proven that you can monitor your brand image, and make the most out of all 3 experiences. As you continue to do this, monitor your social media “earned” referrals and traffic. Compare your additional earned social media traffic to organic and PPC traffic, to see the increase of traffic social media has provided to your website. Also, if you can assume that the social media referrals have a significant conversion rate, an estimate ROI can be applied to your efforts – on both customer retention and the increase of traffic to your website.